Savvy Spending: Baskin-Robbins: $1.50 scoops today only! 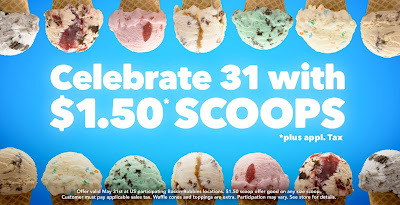 Baskin-Robbins: $1.50 scoops today only! 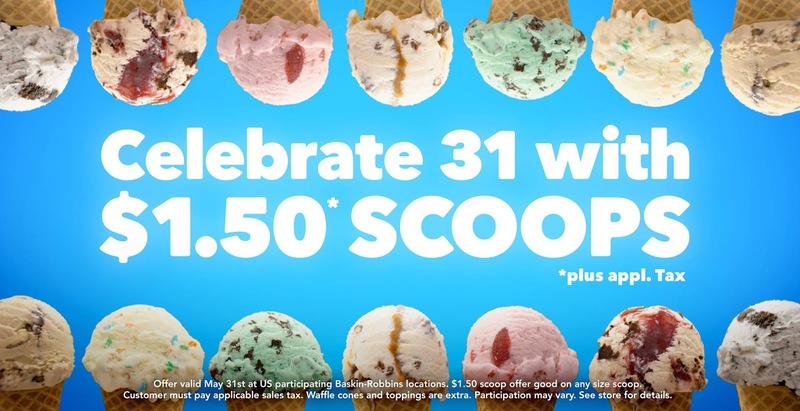 On the 31st day of each month, Baskin-Robbins offers scoop for just $1.50! So this Tuesday, July 31st, you can visit your local store for a $1.50 scoop!